PC Medics On Call > Blog > The Street > Announcement: We had to Change Web Hosting Providers Today! For those of you that have tried visiting the PC Medics On Call website today, you have probably noticed that the site has been up and down all day long. Regretfully, after 4 years of being happily hosted on HostGator GREEN web hosting we have decided that it’s time to cut the umbilical cord and move on. Due to the recent acquisition of HostGator back in June of this year by EIG “Endurance International Group” the quality and reliability of HostGator as your web hosting provider these days is questionable at best! 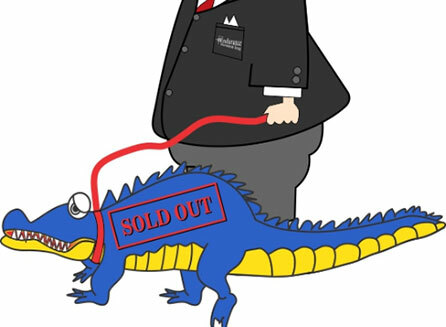 HostGator Sold Out to Evil Corporate America and I can No Longer Recommend them as a Web Hosting Provider! It saddens me to say this as I have always admired the way that HostGator kept stellar customer service and support at the forefront of their business model in addition to having lightning fast and trouble free servers. However, since the recent acquisition by EIG tech support and the speed of their servers have suffered drastically and what used to take 4-5 minutes to get response from tech support either by phone or live chat now takes anywhere from 35-50 minutes before you even get a reply from tech support…WOW!…seriously HostGator…WTF? The tech support response time and added latency to the servers were not my biggest concern though! Over the past 4 months HostGator has been migrating all accounts from their established and stable Soft Layer Data Centers in Dallas, TX over to their new Provo Utah location which has proven to have been a disastrous choice! On the HostGator Support Forums, there have been numerous problems with peoples sites going down for 2-3 days in a row as well as continuing problems due to their recent non-standard disk partitioning practices which are effectively overloading the distribution nodes causing a constant ongoing plethora of problems for Hundreds of Thousands of online businesses and tons and tons of local business owners. Realistically, the numbers of affected websites are probably in the Millions but I’m trying to be semi kind as HostGator was good to me for 4 years! Canned Responses from HostGator… Really? Many people on the forums report that HostGator has not been replying to their support inquiries for as much as 48 – 72hrs before they actually get a response back from tech and more often than not, people are getting duped with a “canned response” instituted by wonderful EIG who bought out HostGator. Needless to Say… I Saw the Writing on the Wall and Knew it was Time to Step! As the chief site architect and lead developer of PC Medics On Call my goal at this point was clear, to acquire a Ultra Fast Web Hosting Provider that has a stellar track record with server up-time and one that was geared more towards developers that had the correct infrastructure in place to fully accommodate my needs. PC Medics On Call is proud to announce that our website is now running on the Site 5 Web Hosting Infrastructure! My choice to go with Site 5 was based on a couple of reasons but primarily it is because they are gauged towards developers but, also because they hire seasoned web developers for their support staff, How awesome is that? While Site 5 may not the cheapest hosting solution out there, the primary focus of everything that I have ever done in my life has always revolved around the quality of service and not quantity. Tech Support provided from skilled and seasoned Web Developers…YAY!! 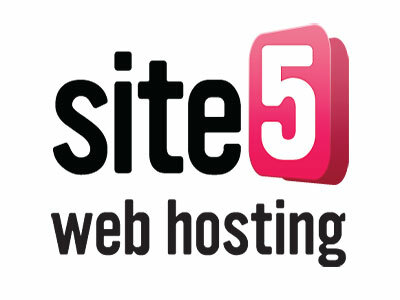 As you can see, there are numerous reasons why Site 5 is a great choice for your web hosting provider. My only regret is that they Do Not offer GREEN Wind Turbine Powered Servers such as HostGator does. That makes me sad because I have always been very environmentally conscious and have always tried to leave the smallest possible Eco foot print with everything I do. However, Site 5 is still a GREEN company, they claim that they plant a tree for every new hosting account that is opened with them in order to offset their carbon foot print on the environment. Hopefully, they are true to their word! Thank you for your patience while this was going on! Next post: Why the Windows Operating System Fails and Why You are to Blame?